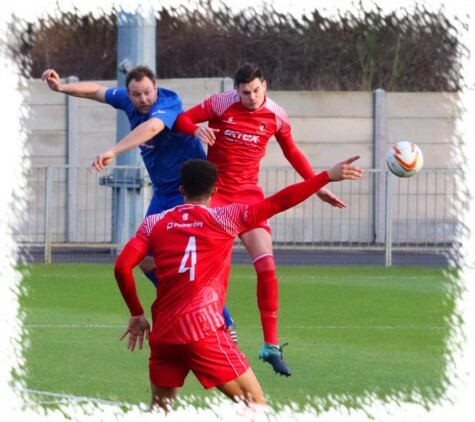 Paul Hughes’ Hayes & Yeading side continued their 2017 winning run into the new year as Kempston Rovers were beaten by three goals to nil at the SKYex on a freezing cold first Saturday of 2018. With United looking to avenge the odd goal in five defeat earlier in the season in Bedfordshire, it was the home side who created the first chance of the game as Toby Little broke away on the left side of the Rovers box, his initial cross was blocked but only as far as Frank Keita who cut inside and fired in a low drive that Rovers ‘keeper Martin Conway held diving to his right side. With less than ten minutes played United were indebted to on-loan Barnet stopper Kai McKenzie-Lyle. Ben Shepherd slid a neat pass through the United back-line to Josh Crawley, the Rovers forward looked to have curled his shot perfectly into the far bottom corner only for the Guyana international stopper to dive full stretch to his right, tipping the shot onto the outside of the post and away for a corner, that kick coming to nothing. United moved up a gear after this and were to have the majority of the chances in the remaining 30+ minutes before half-time. Luke Joyce-Dwarika broke past Alex Stoyles and despite being cynically pulled back by the outpaced defender he still managed to pick out Keita in the middle, he fluffed his shot but the ball went to Little who aimed to curl one into the bottom corner, just missing the target. Scott Donnelly then played the ball up to top scorer Manny Duku, he controlled the ball inside the box on the right, his angled drive skimming over the top of the visitors goal and then minutes later Little, Joyce-Dwarika and Gurkan Gokmen combined in a neat forward advance that saw the ball being met on the volley by Joyce-Dwarika but his effort was too high to trouble Conway. Just after the half hour mark, Little and Keita, who were giving the Rovers defence a torrid time between them, had a shot apiece charged down in the box and when the ball ran loose to Joyce-Dwarika he snatched at it a little and the ball went wide of the target. Gokmen and Donnelly then moved the ball forwards up the opposite right hand channel, the latter’s deep centre being met by a sliding Duku but he couldn’t control his effort and fired over from 8 yards out. The deserved breakthrough finally came three minutes before the break and not surprisingly it was Duku who broke the deadlock, the striker smashing the ball home after good approach work from Joyce-Dwarika and a perfect pass from Keita. 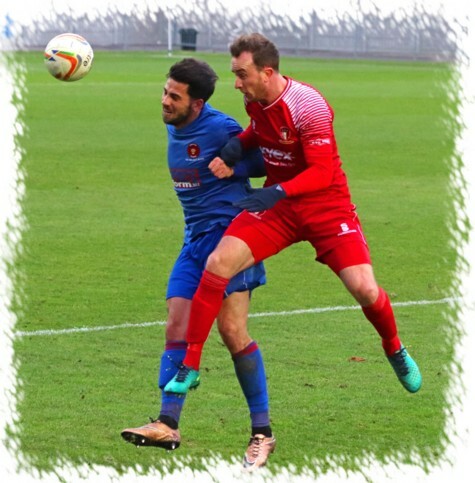 The start of the second half saw United introduce Ismael Ehui in place of Gokmen who is still working his way back to fitness after several months out, this change meant a re-shuffle of Paul Hughes’ pack that was soon to pay dividends. The first opening of the period however fell to Rovers though, Jake Newman playing the ball across the United box to Luke Heneghan who took a touch and fired goalwards, McKenzie-Lyle comfortably palming his effort down before taking hold. Just minutes later United controversially scored a second, not so much the goal but the preceding incident seeing Newman cautioned for his complaints. To be honest I can understand his fury as I would be the same if the decision had gone against my side. The visitors were on the attack when Ola Olajubu slid in and won a tackle, in doing so he sent the ball past his teammates and put Rovers through on goal only to be flagged for offside despite the fact that it was a United player who put him through, about time one went for us though I suppose. The resultant free-kick was fired up-field by McKenzie-Lyle to Little, his first time centre from the left being swept home, also first time, by Ehui for his ninth of the campaign. United, now two ahead, continued to have the bulk of the chances even as the visitors made a triple change just after the hour and in doing so changed their playing formation to match United’s. Little’s cross was met by Donnelly but his volley went straight at Conway and then ten minutes later Little pumped the ball forwards finding an advanced Keano Robinson, he brought the ball down well and straight to Duku who saw his 20 yard snapshot go agonisingly wide of the target. Ehui suffered a similar fate just two minutes later when Keita nutmegged his marker to put Ehui through, his curling effort going just the wrong wide of the upright with Conway well beaten. 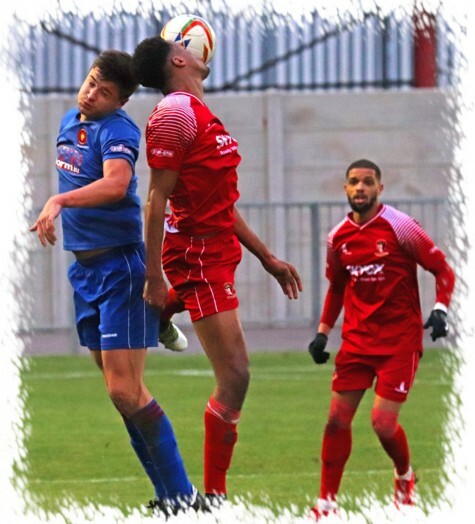 With three minutes left to play, Conway kept the score down to two as the Rovers ‘keeper went full stretch to tip away a Donnelly shot before a rare moment of concern at the other end for United’s defence saw Nathan Tshikuna fire inches wide from the edge of the box. As we entered stoppage time United proved they will keep going regardless. Ehui threaded the needle to find Duku, Conway however blocked his effort away. The Rovers ‘keeper was left stranded a minute later however when Duku fired in a free-kick from the left corner of the box, the ball taking a looping deflection off the wall before sailing over Conway’s head into the far corner to give United a deserved three goal victory.